New York hotels are renowned for their world class comfort and amenities, providing guests with top of the line service that leaves them wanting for nothing. Whether in town for business or for pleasure, these hotels make their guests feel like they are home, providing them with opportunities to relax and work as they please, without having to worry about their personal needs or concerns. Ticket services and free Wi-Fi head the list of amenities at the non-smoking 36 Hudson Hotel located in a Midtown setting steps from the subway museums and Madison Square Garden. At the 10-story 36 Hudson Hotel all 39 non-smoking rooms come furnished with free Wi-Fi flat-panel LCD TVs iPod docks desks bottled water and coffeemakers; some also include mini-fridges. Guests in for work can appreciate access to business facilities. The hotel also provides luggage storage and a 24-hour front desk. The 36 Hudson Hotel offers a Hell's Kitchen setting in New York one block east of the Jacob K. Javits Center and a 10-minute walk northwest of Penn Station and the A-C-E subway lines. Walk around the corner to discover the Baryshnikov Arts Center or five miles east for a laugh at the National Comedy Theatre. Major concerts and events take place at Madison Square Garden a half-mile away while Times Square is abuzz 24/7 less than one mile northeast. Flights at LaGuardia Airport can be reached within a 10-mile drive northeast. our guests applaud the totally modernized 36 Hudson Hotel for its reasonable rates and walk-friendly location near a plethora of top NYC sites. 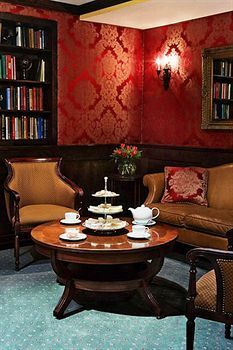 With cushy beds free Wi-Fi and a great SoHo location the boutique non-smoking Gem Hotel-SoHo is a rock-solid choice for our guests. The six-story Gem Hotel has beds with lavish linens spacious baths with plush towels monogrammed robes and name-brand toiletries and flat-panel LCD TVs. Rooms also offer free Wi-Fi in-room coffeemakers and bottled water. Parking is offered for a fee. 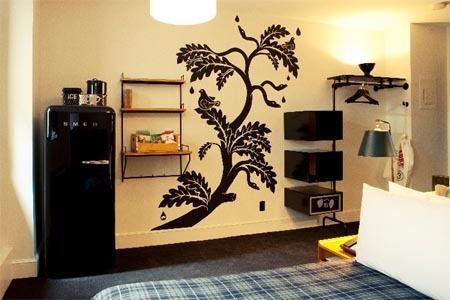 Situated in SoHo the Gem Hotel is on vibrant East Houston Street surrounded by with plenty of shops and restaurants. The East Village Little Italy and Tribeca neighborhoods are all within a few minutes. LaGuardia Airport is a 15-minute drive JFK is 25 minutes and Newark Airport is 25 minutes away (times vary depending on traffic conditions). Despite inevitable progress SoHo has managed to retain its architectural beauty with cast-iron details impeccably restored buildings and narrow cobbled streets. With in-room amenites some freebies and a fun location this hotel is a not-so-hidden Gem in SoHo. Luxe pet-friendly rooms with free Wi-Fi stylish design and a Park Avenue address near Central Park are among the perks our guests enjoy at Loews Regency New York Hotel. All 379 rooms feature lavish bedding fine cotton linens large club chairs spacious work desks with task lighting free Wi-Fi and flat-screen TVs. Dial up for an in-room massage and take advantage of business services a state-of-the-art fitness center and an on-site restaurant that serves breakfast lunch and dinner. Valet parking is available for a fee. The hotel is less than a five-minute walk from the east side of Central Park and the zoo. It's two blocks from the nearest subway stop and four blocks from Bloomingdale's. Upper East Side attractions like the Whitney Museum of American Art and the Metropolitan Museum of Art are also easily accessible. 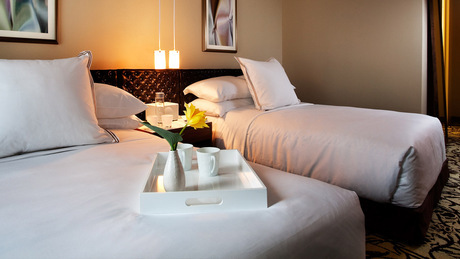 The hotel is nine miles from LaGuardia Airport and 15 miles from JFK International Airport. "Quite spacious" rooms in an "awesome location" and a "courteous" and "personable" staff are some of the reasons our guests love Loews Regency New York Hotel. With a stay at The Evelyn Hotel, you'll be centrally located in New York, steps from 5th Avenue and 4 minutes by foot from Madison Square Garden. This 4-star hotel is 0.4 mi (0.7 km) from Empire State Building and 0.5 mi (0.9 km) from Macy's.Rooms Make yourself at home in one of the 160 air-conditioned rooms featuring refrigerators and flat-screen televisions. Cable programming and iPod docking stations are provided for your entertainment, while complimentary wireless Internet access keeps you connected. Private bathrooms with bathtubs or showers feature rainfall showerheads and complimentary toiletries. Conveniences include safes and desks, as well as phones with free local calls.Amenities Take advantage of recreation opportunities such as a 24-hour fitness center, or other amenities including complimentary wireless Internet access and concierge services.Dining Enjoy a meal at the restaurant or snacks in the coffee shop/café. The hotel also offers room service (during limited hours). Quench your thirst with your favorite drink at the bar/lounge. Continental breakfasts are available daily from 7 AM to 1 PM for a fee.Business, Other Amenities Featured amenities include a business center, limo/town car service, and express check-in. Located 483 metres from Times Square this hotel in midtown Manhattan has a French restaurant onsite. Guests can relax at the Finnish sauna or catch up on work using the complimentary WiFi.Every room at The Iroquois comes with a 32-inch flat-screen TV and nightly turn-down service that includes Le Belge chocolates and a weather card. Twice daily housekeeping services are also provided.Triomphe restaurant at The Iroquois serves French cuisine making dishes with fresh seasonal ingredients and offers an expert wine list. Lantern's Keep serves cocktails in a private setting.Guests can enjoy coffee every morning or soft beverages in the afternoons in the hotel lobby. Overnight shoeshine services daily New York Times delivery and a 24-hour fitness centre are also provided for guests' convenience.Grand Central Station is 644 metres from the New York Iroquois. Central Park is 1.3 km away. This boutique hotel is located in the center of Manhattan only a 10-minute walk to Madison Square Garden. The hotel features two on-site restaurants free Wi-Fi and a 24-hour front desk.Each unique guest room at the Hotel Ace is individually designed and features modern amenities including flat-screen TVs and an iPod dock. A fully stocked minibar and a refrigerator are also offered.Situated inside a historic building the Ace Hotel offers a unique style developed by local artists and designers. Guests at the hotel can eat at the Breslin Restaurant or The John Dory Oyster Bar. Enjoy gourmet coffee from Stumptown Coffee Roasters Cafe and live music in the hotel lobby.Herald Square Subway Station is a 3-minute walk from the New York Ace Hotel. Times Square is a 5-minute subway ride from the hotel and the Empire State Building is also close by. A variety of stores and restaurants surround the hotel. The non-smoking NoMo SoHo welcomes our guests with luxurious rooms that offer stunning views in one of Manhattan's most fashionable neighborhoods. The 25-floor Nomo SoHo pays homage to Jean Cocteau's movie "Beauty and the Beast" by fusing vintage and cutting-edge decor in its 263 non-smoking rooms which boast open floor plans with decorative features such as large antique mirrors crystal sconces jewel-toned doors and chrome night tables. Floor-to-ceiling windows offer views of the city skyline or river views and amenities include marble spa bathrooms down bedding available Wi-Fi and plasma TVs with premium cable. The hotel's restaurant NOMO Kitchen serves American cuisine featuring locally sourced ingredients. The fitness room is open 24 hours a day as is the front desk. Valet parking is available for an extra charge. The hotel is in fashionable SoHo a block from the subway. LaGuardia Airport is 10 miles northeast John F. Kennedy International Airport is 18 miles southeast and Newark Liberty Airport is 13 miles southwest of the hotel. The "stylish" Nomo SoHo boasts "great atmosphere" and "great decor" according to our guests who also laud the "fantastic location" in SoHo.